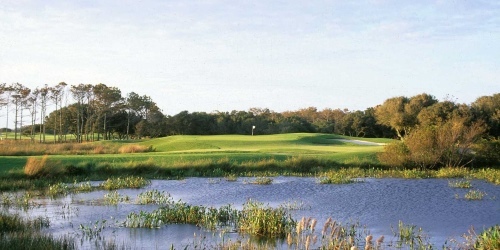 Designed by world-renowned architect Rees Jones, The Currituck Club in Corolla is a breathtaking layout that stretches across nearly 7,000 yards of diverse coastal terrain, including towering sand dunes, wetlands, maritime forests and soundside shoreline. Just when you think you have The Currituck Club golf course figured out, you'll be introduced to the Outer Banks' ocean breezes. The Currituck Club reserves the right to change price and offer at anytime. Prices and offer are subject to change without notice. NCGolf.com is not responsible for errors posted in this golf package.